There’s a swanky new hotel in town located at the Chicago Athletic Association Building and Annex at 12 S. Michigan and 71 E. Madison. The club’s Venetian-Gothic inspired building faces Michigan Avenue. and was designed by Henry Ives Cobb (completed in 1893). The Madison Avenue bulding was designed by Schmidt, Garden & Martin and was completed in 1907 and doubled in size by 1926. The Chicago Athletic Association Building is within Chicago’s “Historic Michigan Boulevard Landmark District.” I recently took an architecture tour and was amazed! There was a plan to demolition significant portions of the structure but keep the gorgeous facade when the elite private club closed in 2007. There has been a recent trend along the Michigan-Wabash corridor of constructing large-scale towers behind the façades of historic structures. Examples include: the Heritage Millennium, the Legacy at Millennium Park (within the Jewelers Row District), and the 80-story tower proposed as part of the YWCA building redevelopment at 830 S. Michigan Avenue. This magnificent Michigan Avenue historic landmark and annex was saved from the wrecking ball in 2012 by a partnertship between AJ Capital, Geolo Capital and Commune Hotels + Resorts. Let’s thank the Pritzkers for this magnificent restoration of the Venetian Gothic tower designed by Henry Ives Cobb. The building has been lovingly restored to it’s 1893 grandeur. When you look at it from Michigan Avenue, it definitely resembles the Doge Palace in Venice. The meticulous 2 year restoration saved the elaborate millwork, stained glass windows and magnificent mosaic tiles. In 2008, the National Trust for Historic Preservation cited this 11 story buiding as “one of the nation’s 11 most endangered places.” Architectural and structural updates were completed by Hartshorne Plunkard Architecture and the interior design was completed by Roman and Williams from New York and the resulting 241 room hotel is jaw-dropping! There are five places to dine in the hotel incluging Shake Shack on the main floor. Climb the grand staircase on the first floor and you can see “The Tank” which was originally 40 meters long. The pool became competitively obsolete when Olympic regulations changed to 50 meters. The Tank is where the former swimming pool was located. It was covered during the 2012 restoration. I love 2nd floor lobby with magnificent millwork and carved fireplaces. The largest fireplace is crowned with bas-relief football players. The gorgeous Fireplace in the lobby is surmounted by bas-relief football players. The 2 year restoration project involved building a rooftop restaurant and bar on this magnificent Chicago landmark. Make reservations for www.Cindysrooftop.com for the best Vino Con Vista in Chicago! Cindy’s includes a private dining room, where you can view the Andy Warhol portrait of her. Cindy’s name is actually Marian; rumor has it that when she was young, her nickname was “Cinderella.” When John Pritzker opened the Chicago Athletic Association Hotel, he wanted to honor his mother by using her first name — Cindy. The www.ChicagoAthleticHotel.com has an incredible rooftop restaurant and bar. It’s hard to find a better view from any other outdoor public rooftop in Chicago. It is my absolute favorite Vino con Vista Destination in Chicago! There are amazing panoramic views of Millenium Park, Maggie Daley Park and Lake Michigan from the top of the newly renovated 250 foot Venetian Gothic Tower on Michigan Avenue. Make reservations in advance for Cindy’s rooftop. It is difficult to get into the crown jewel of the hotel that John Pritzker named after his 92 year old mother. At Cindy’s, “Executive Chef Christian Ragano, creator of Glencoe’s much loved Guildhall, and former Chef de Cuisine at NoMi, joins forces with renowned Spirit Guide and alumni of The Violet Hour, Nandini Khaund” to enhance the avant-garde culinary adventure. After our architectural tour, we had a delightful lunch. We ordered the Tuna Crudo served over pickled cabbage as an appetizer, the spicy lobster roll with lemon-tobasco remoulade with some lemon meringue pie with white chocolate sorbet for dessert. Follow this link to make reservations at www.CindysRooftop.com. Try to book a table outside by the firepit if you can. If you follow my posts, you know that I adore wine tourism. I love to seek out idyllic destinations around the world where you can enjoy a Vino con Vista; a beautiful place to enjoy wine in the place where it is actually grown. Places like Piedmont and Tuscany in Italy; and the Napa Valley, the Santa Ynez Valley and Sonoma County in California offer perfect Vino con Vista opportunities. Let’s face it, grapes and vineyards seem to thrive in the most glorious destinations in the world! I guess we can thank the Greeks and the Romans for the fascinating aspects of modern day wine tourism in the sun-drenched vineyards of Lodi. I recently discovered an enchanting wine destination along the Mokelumne River in Northern California with over 80 wineries and plenty of tasting rooms. I had a opportunity to get up close and personal with the region’s grapes and many of the multi-generational growers in Lodi at the 9th annual Wine Bloggers Conference. Located in San Joaquin County between the San Francisco Bay and the Sierra Nevada Mountains, the region is a wine-lovers paradise! The region’s innovative and passionate producers are generating exceptional food and wine experiences that should catapult Lodi into the wine tourism strastophere! I am so confident about Lodi’s future that I may even buy a place in downtown Lodi. I loved the charming, well-maintained historic California Craftsman bungalows. It’s relatively close to the UCDavis legendary Department of Viticulture and Enology. Now that I have retired from 30 years as a business professor, maybe I’ll pursue a new degree. 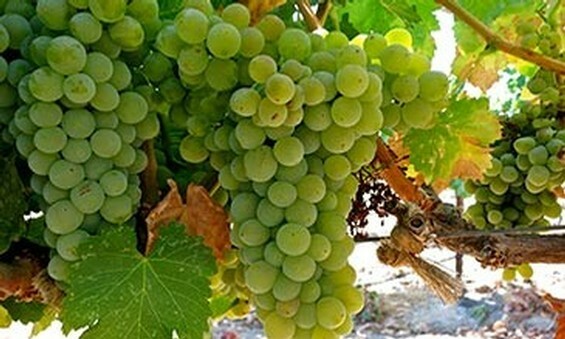 I would love to better understand the scientific study of grape-growing and winemaking. “The Lodi AVA is located in the northern Central Valley of California, at the northern edge of the San Joaquin Valley east of the San Francisco Bay. Robert Mondavi was one of the most influential wine gurus in the industry and he grew up in Lodi. In 2001 Robert Mondavi donated $25 million to the College of Agricultural and Environmental Sciences at UCDavis for the establishment of the Robert Mondavi Institute for Wine and Food Science, which opened October 2008. His former high school in Lodi has been converted into a spectacular conference venue. Woodbridge is the home of his well known winery. We can probably thank the Mondavi and Gallo families for the success of the wine industry growth in the region. Lodi producers filled the pipeline for powerhouses like Mondavi and Gallo. The growth of the tasting rooms in Downtown Lodi are a perfect example of the profitability of Mondavi’s vertically integrated wineries. Many winemakers are following in Mondavi’s footsteps in Lodi. Harney Lane Winery poured their amazing wines at my table at the Blogger Award Event. The product of a 5th generation farming Mettler family offers interesting excursions at Oak Farm Vineyards. Most of their amazing inventory sells out in the Tasting Room. At Estate Crush, we made our own Zinfandel blend and then they produced enough bottles for all of the bloggers to take home. Macchia’s owner Tim Holdener and his bubbly wife Lani poured so many terrific wines that I joined his Wine Club and anxiously await my first shipment. The Barbera was incredible and I loved the dessert wine. The last time I joined a wine club was Moshin in the Russian River Valley and that was many years ago. Many of the 80 wineries are winning awards and producing award-winning wines. Located just 90 minutes from San Francisco and 60 minutes from Napa; Lodi produces more wine than Napa and Sonoma combined. Sipping and savoring handcrafted wine produced from multi-generational wine growers and passionate Lodi California winemakers is an excellent way to spend a pleasant vacation in Northern California. Historically, Lodi is best known as the full-bodied “Zinfandel Capital of the World” with many vines that are over 100 years old. It is the home of the famous Seven Deadly Zins. More recently, the “Lodi Native” project is releasing some incredibly luscious old vine Zinfandel wines. Many Lodi wines are sold exclusively at the respective winery. From the vineyards to the Tasting Rooms, there are plenty of wine tourism opportunities in Lodi. 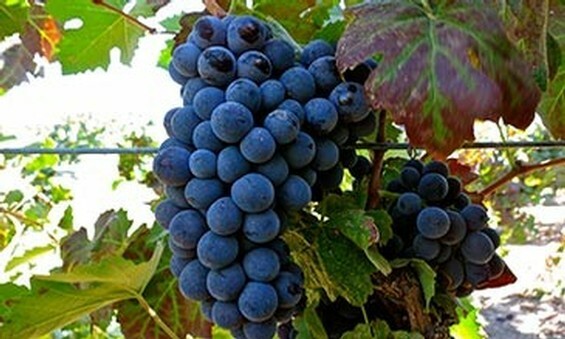 Lodi is predominately a red winegrowing region (“approximately two-thirds of the acreage is dedicated to red varieties”). More recently, Lodi vintners are increasingly winning awards for their Rhone and Mediterranean style varietals. 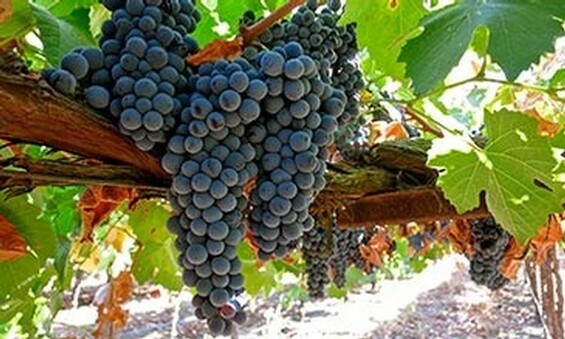 In addition to Zinfandel, Lodi is currently the nation’s leading producer of several popular varieties including: Chardonnay, Sauvingnon Blanc, Merlot and Cabernet Sauvignon. It has over 100 varieties in production. 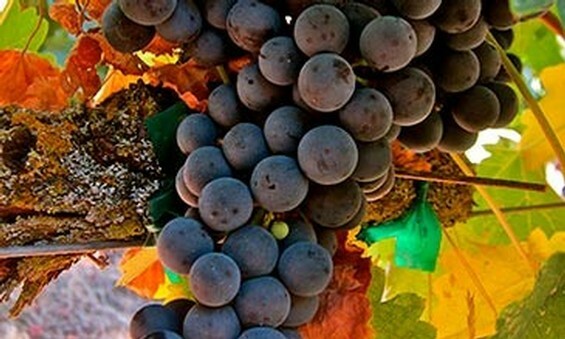 Lodi offers a vast portfolio of diverse wines. Lodi’s 100,000 acres of deep loam in the AVAs and the desirable Mediterranean climate creates numerous microclimates that allow an incresingly larger variety of grapes and award-winning wines to thrive. The soil is similar to the French Region of Chateauneuf du Pape. Lodi winemakers are winning awards for their Rhone and Mediterranean varietals. Albariño, Verdejo, Graciano, Tempranillo, and Garnacha are just a few of the interesting Spanish varieties grown in Lodi soils. Touriga Nacional, Tinta Cão, Souzão, Verdelho, and Tricadeira are grownfinding a natural home in the The wines being produced from these vineyards are utterly delicious. Vibrant, intriguing and refreshing flavors make these varietal wines well worth seeking out. 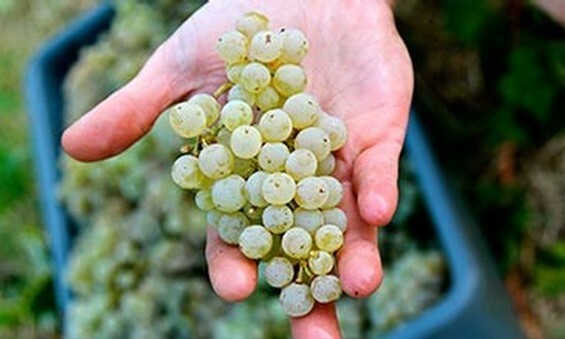 Kerner, Bacchus, Riesling, Dornfelder, Gewürztraminer, and Zweigelt some of the German varieties grown in Lodi. Barbera, Aglianco, Sangiovese, Teroldego, and Vermentino made me feel like I was field-tasting in Italy. Cinsault, Viognier, Syrah, Picpoul Blanc, Tannat and many others are grown in Lodi. Book a room at the luxurious Wine and Rose Hotel and Spa on Turner Road www.winerose.com and I’ll meet you at next year’s Zinfest.